In the second phase of its UNDP funded project, Msalura Primary School consulted Kusamala to provide technical support on how to implement a reforestation project using permaculture principles with the aim of developing the school’s permaculture gardens and Village Permaculture Clubs in order to create greater crop diversity and improved livelihood for the local community. The teachers and members of permaculture clubs were chosen at random to take part in the hands-on training at the school with the goal that they would then share the information learned with their family, neighbors and communities. Mrs. Gladys Phiri, from Tisauke Club, shared her testimony on how she has benefited from the project. 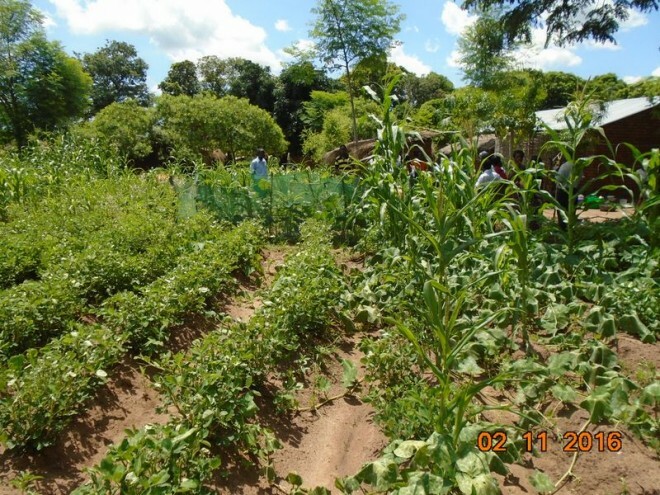 This is her second year to grow organic maize and she also has a home garden where she is growing fruit trees and a variety of vegetables like roselle, lemongrass, okra, amaranth and blackjack. Her maize is doing well compared to her neighbors’ and is withstanding the hot weather in Salima and the current dry spells. 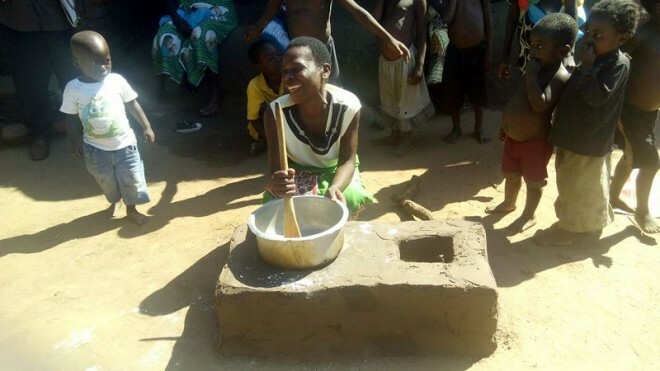 From the proceeds of the sales from last year’s harvest, she is building a home for her family. She also has a fuel-efficient rocket stove that she uses for cooking. Teachers are also emulating what they have been taught by Kusamala consultants. Mrs. Mary Mame, a primary school teacher at Msalura, has a beautiful organic garden where she is planting tomatoes, peppers, eggplants, local vegetables like amaranth and she has a number of fruit trees around the house. She is able to feed her family from her garden. To date, 1,415 trees have been planted around the school: over 300 are fruit trees and the rest are a mix of neem and varieties of mahogany and acacia from an existing nursery which they established before the project commenced. Over a thousand comfrey and lemongrass plants have been planted around the school as the main cash crops. Lemongrass will be processed into essential oil. This is the second year of a UNDP funded project that is focusing on permaculture and reforestation. It will phase out in April 2016.